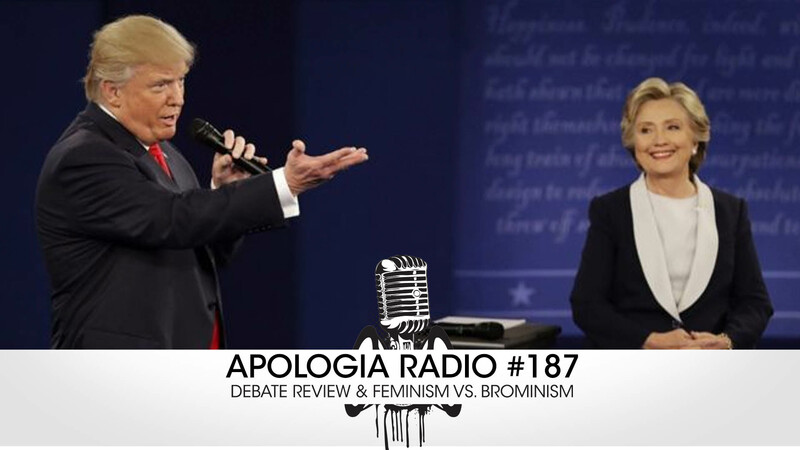 You don’t want to miss this entertaining and informative brand-new episode of Apologia Radio! We review the recent second-debate between Donald Trump and Hillary Clinton. Did you watch it? We did. We review the “mic-drop” moments where Trump threatens Clinton with prosecution if he is elected and tells her she would be in jail if he were in charge of the law in our nation. We talk about that and much more! We also spend a little time talking about the feminists who came after Summer White and Joy Temby after the release of our newest show: Sheologians. Don’t miss it and don’t forget to share it with someone you love! This is classic Apologia Radio!